Stock Market Close, Aug. 25, 2014: U.S. stocks were on the rise again Monday, with the S&P 500 Index cracking the 2,000 level for the first time ever and setting a new all-time closing high just shy of that milestone. 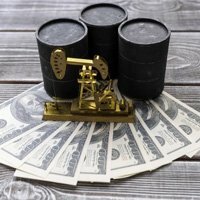 The rise was fueled by investor confidence in the financial and biotech sectors, which outweighed concerns about new housing sales falling to a four-month low. Deal of the Day: Swiss pharmaceutical behemoth Roche Holdings (OTCMKTS: RHHBF) announced its largest strategic deal in five years on Sunday, sending shares up nearly 1.5% on the day. The company announced plans to purchase biotech firm InterMune Inc. (Nasdaq: ITMN) in an $8.3 billion all-cash deal. The acquisition helps Roche boost its roster of new drugs to treat diseases, including a newly approved drug called pirfenidone that treats a deadly lung disease. Shares of InterMune jumped more than 35% during its intraday peak. 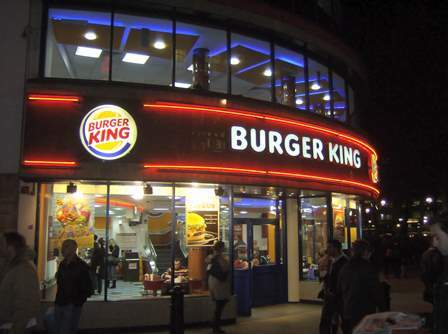 Be Your Way: Shares of Burger King Worldwide Inc. (NYSE: BKW) were up almost 20% on the day on reports the company is in negotiations to buy Ontario-based coffee-and-donut chain Tim Hortons Inc. (USA) (NYSE: THI). THI stock was likewise up almost 19%. The deal would create the world's third-largest fast-food company, valued at roughly $18 billion. The deal would also allow Burger King to reduce its corporate tax rate by moving its operations to Canada, the nation with the lowest corporate tax rate of any G7 nation. All Smiles in Europe: After European Bank President Mario Draghi hinted at further stimulus to keep the gears moving in the continent's struggling economy, financial companies experienced a strong Monday session. On the same day it agreed to an additional $1.2 billion settlement on faulty mortgage securities, Goldman Sachs Group Inc. (NYSE: GS) shares still rose more than 1.5% in intraday trading. Shares of Morgan Stanley (NYSE: MS), which has significant exposure in the struggling European economy, saw its shares rise 2.5% intraday. Shares of JPMorgan Chase & Co. (NYSE: JPM) were up 1.5% on the day. Today's Biggest Loser: The company taking the hardest blow to its share price this afternoon was Regado Biosciences Inc. (Nasdaq: RGDO). Shares plummeted more than 60% on Monday before trading on the equity was halted. The drop came after the company ended its late-stage trial testing of a drug program that targets coronary artery disease. Socialist Paradise: In a weekend interview with The Wall Street Journal, French Economy Minister Arnaud Montebourg called for "major change" in the nation's economic policy as France continues to falter under Socialist President François Hollande and his prescriptions of high taxes and anti-business approach. The interview set off a chain reaction of additional criticism from other government leaders, which led President Hollande to dissolve the French government this morning. Hollande is expected to build a new government and introduce it on Tuesday.